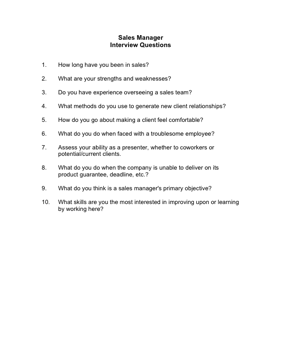 Choose your next Sales Manager with the aid of these helpful interview questions. 3. Do you have experience overseeing a sales team? 6. What do you do when faced with a troublesome employee? 9. What do you think is a sales manager's primary objective?